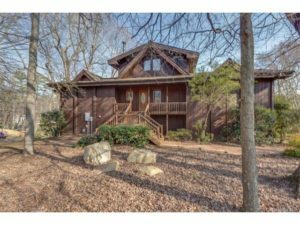 Fantastic waterfront property: 7215 Buckland Road in Charlotte! 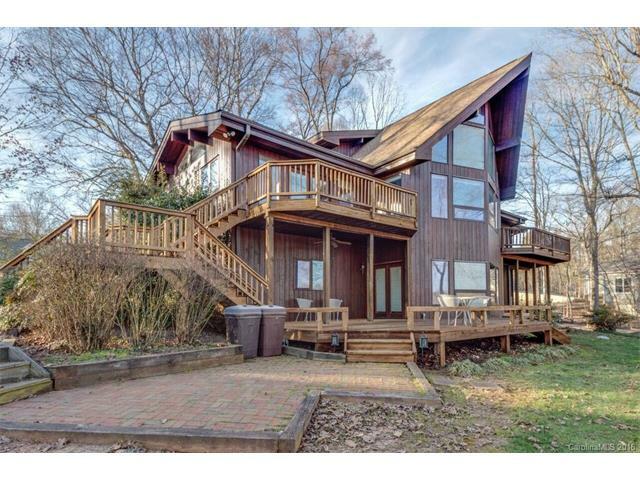 Rear of home takes full advantage of the water views with large deck spaces, terraced back yard and lots of windows! 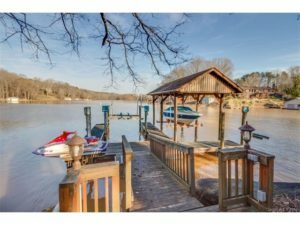 This waterfront home has everything you need for a fantastic Lake Wylie lifestyle and is convenient to the Steele Creek area of Charlotte and major thoroughfares to keep you connected to the outside world. 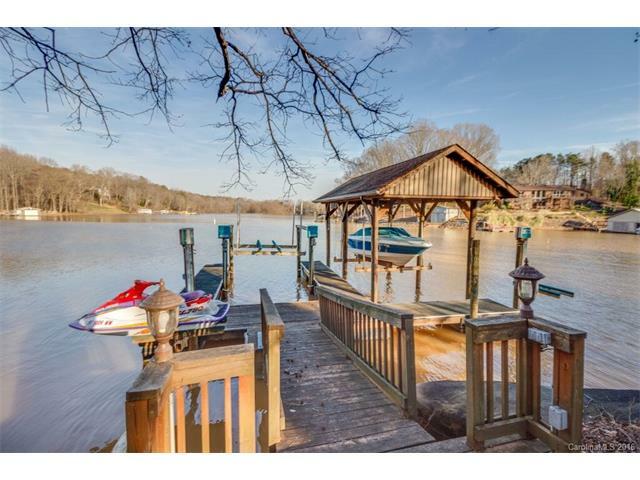 Tucked away in Brown’s Cove on the Catawba River, this beautiful 1990 cedar-sided home is priced at $635,000 and offers more than 240 feet of cove shoreline with deck, docks and boat lifts for making the most of a waterfront lifestyle. Fish or launch your boat or Jet Ski from your own back yard! Inside, the home is chock full of beautiful woodwork, hardwood floors, wood paneled ceilings and exposed beams. Oversized windows bring nature inside and flood the main living areas with natural light. 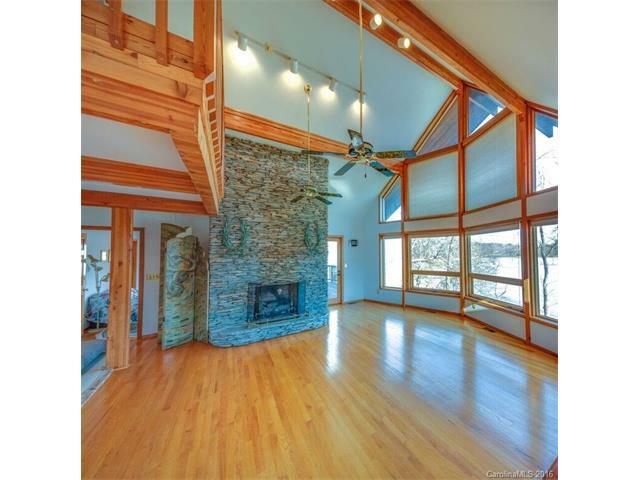 Big, beautiful windows and natural wood tones bring warmth to the large living area that overlooks the water. 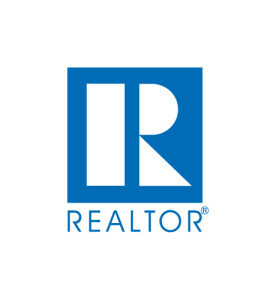 This home has 3 bedrooms and 3 bathrooms and more than 3,300 square feet of living space, including a 3rd story loft area. The property also has a detached 2-car garage with plenty of storage space! The master suite with its sunken hot tub is located off the main level living area, which is wide open with expansive hardwood floors and vaulted ceilings. A beautiful stacked stone fireplace creates a beautiful focal point and gathering area for friends and family. The well-appointed, open kitchen includes a peninsula bar with seating and lots of prep space. The lower level walk up has a wood-burning stove and plenty of space for a game room, rec room or just extra living space or home office. This lovely home is situated on nearly an acre of land west of I-485 near the Dixie-Berryhill area of Charlotte. It is not in a subdivision so there is no HOA or deed restrictions. 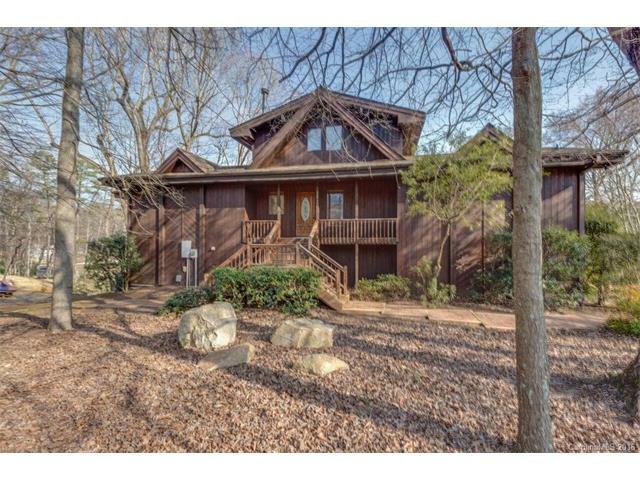 From this home at 7215 Buckland Road, I-485 is less than 3 miles away at Steele Creek Road. There you will also find great shopping at Charlotte Premium Outlets. For nearby and everyday shopping, WhiteHall Commons Shopping Center, which has Publix, Lowe’s and WalMart, is less than 6 miles from home. 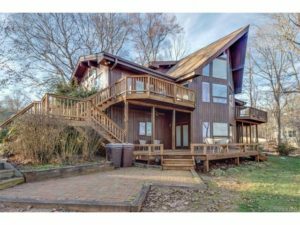 This spectacular home is a chance to own waterfront property at a great price and is definitely worth a look!